Are Yellowstone Grizzlies Ready To Come Off The Endangered Species List? A grizzly bear in Yellowstone National Park. Grizzly bears in the Yellowstone ecosystem are close to losing their endangered species status. Chris Servheen says that population is healthy, robust and ready for that transition. Servheen is the Grizzly Bear Recovery Coordinator for the U.S. Fish and Wildlife Service. He and other members of an Interagency Grizzly Bear Management subcommittee met yesterday in Bozeman to discuss the status of Yellowstone grizzly bears. As reported earlier this week, 20 grizzlies have been killed or removed from the Yellowstone region so far this year. That compares to 29 grizzly bears last year and 56 in 2012. Chris Servheen tells MTPR's Edward O'Brien this has been a good food year for the bears and most of them are in excellent condition. Is it time to delist Yellowstone's grizzlies? 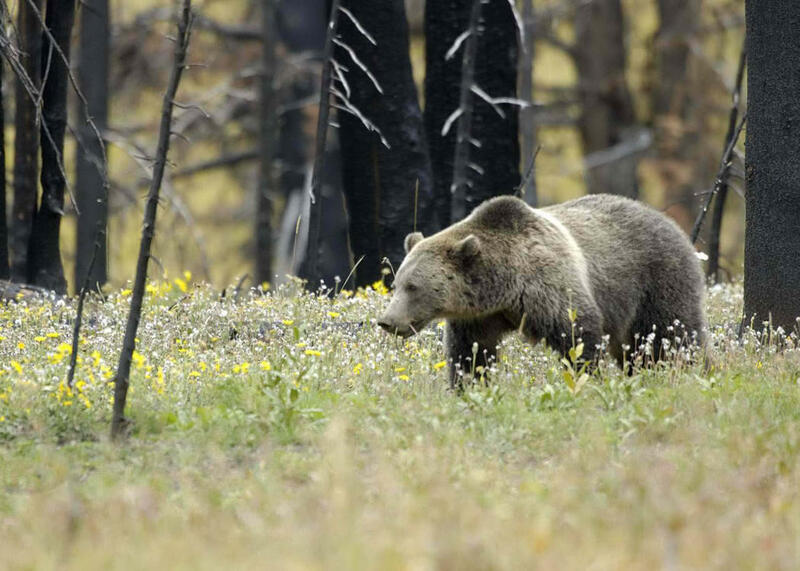 A panel of wildlife officials says it's time to lift Endangered Species protections for grizzly bears in and around Yellowstone National Park. It turns out 145 genetically pure bison captured from Yellowstone National Park will stay in Montana. Several out-of-state entities wanted those animals.